Have you ever been at the beach with the kids, building your next great sand creation, and just wished it could be a bit, well, better? Higher, more intricate, more perfectly realised – just like it is in your head? There’s a little sand building toy in the works that might be able to answer that wish. 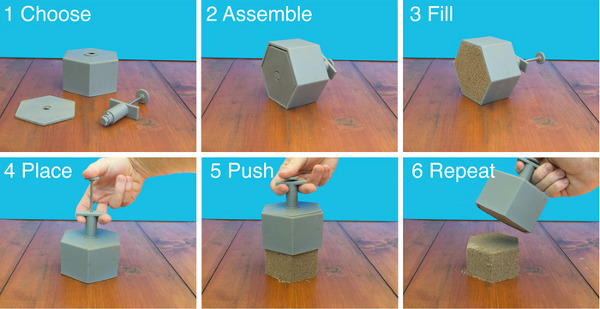 These little sand modelling tools are called Sandblox – and right now, they’re just a prototype. They are the brainchild of Canadian Colin Drylie, who has started a Kickstarter appeal in an attempt to get these unique toys into production. 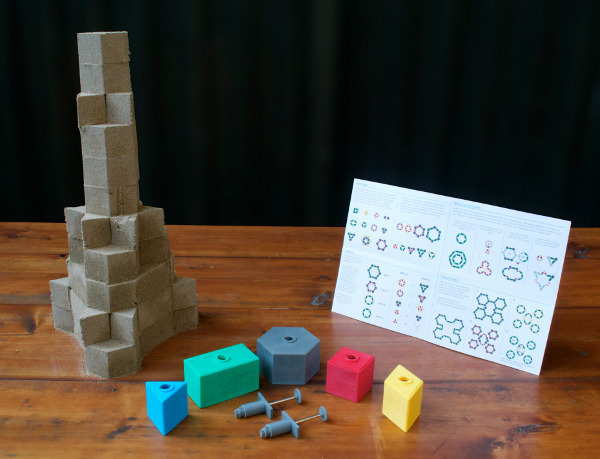 A set of moulds in various geometric shapes, the Sandblox have a pop out mechanism which allows the creator to make their own sand building blocks and then use them to build an almost infinite array of creations. The sets would include instruction sheets and hints and tips on how to build just about anything, but of course, creative kids who love playing in sand won’t need that to get going. We’re keeping an eye on this one for sure! Pledging a donation on Kickstarter means you will be one of the first to receive one of these innovative new toys, plus you’ll get the satisfaction of knowing that you helped the design and production process of something totally new and innovative. For some cool sand shaping toys you can buy right now, check our recent post on World Landmark Sand Moulds, that allow you to create sand structures inspired by some of the great buildings of the world.